Free Brush Font: Wild Creatures! Today, I have an extra delightful freebie! from Ana’s Fonts aka Just Like This Train! 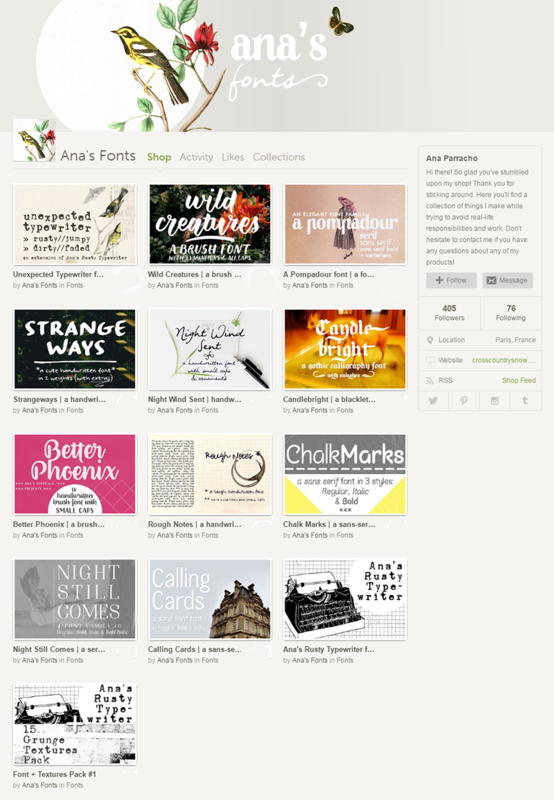 Ana is not only insanely creative but also extremely generous for sharing her work with us all! Try it out for free (for personal use) with this sample version! Did I mention that it is a PERFECT font for using in your cutting machine! For the Lord himself will come down from heaven with a rousing cry, with a call from one of the ruling angels, and with God’s shofar; those who died united with the Messiah will be the first to rise; then we who are left still alive will be caught up with them in the clouds to meet the Lord in the air; and thus we will always be with the Lord. « Last Chance Coupon Code for 20% OFF The May Bundle // Free Doodle Wreaths!! Hi Keren, Thank you for the freebie Brush Font : Wild Creatures. I downloaded the .zip file, but I get an error message when I try to open the file. I’m sorry, you are having trouble… I just re-downloaded it with no errors and ask others if they had any trouble with it when they open the file and said everything worked on their end. This is such a nice brush font! Usually, they’re a little hard to read, but, this is beautiful! I thought the same thing Su!! You are so welcome :) xoxo!! I love this font thank you so much for sharing!